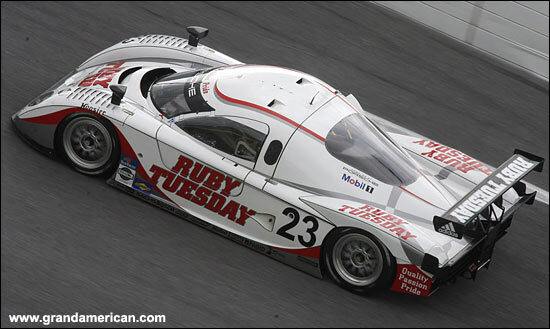 Two problems: Grand Am hasn’t released any lap times from either the morning or afternoon sessions at Daytona, and our man Russell Wittenberg was ill, and unfortunately couldn’t make it to the Speedway yesterday. So based on the Grand Am reports plus some other snippets, here’s a round-up of the first day. 25 teams and 40 cars were present, and the main task should have involved the DP teams running the mandatory (in 2007) Bosch ECUs – and for some (most), that didn’t go quite as planned. The GT teams will have to run the units by “mid-year”. 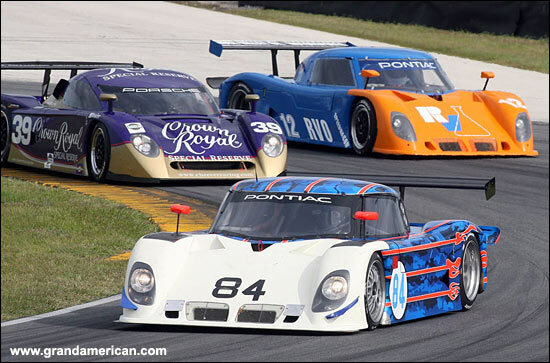 In terms of lap times, what we do know is that Max Angelelli, in the SunTrust Riley Pontiac, was fastest, the Italian setting a 1:43.728 in the afternoon: that’s three-tenths faster than Lucas Luhr lapped the track in qualifying for the 2006 Rolex 24. Pat Long, in the car Luhr was driving back in January, set the second best time, a 1:44.202. Wolf Henzler was fastest in GT, in the #72 Tafel Racing Porsche, with a 1:52.982. Tommy Erdos is running in the Cheever Racing Crawford Porsche, and was fastest of the three drivers in the team’s #39 entry, with a 1:45 dead. “The pace got quicker and quicker,” commented the Brazilian, “and I am confident we can get into the mid 44s tomorrow should conditions allow.” The forecast suggests that thunderstorms are possible on Tuesday. #87 is one of the Farnbacher Loles Porsches. Although the Bosch ECUs were causing problems up and down the pit-lane (the best times were set using the 2006 set-up), the Brumos team was in real trouble getting the electrics to work: the team’s transporter rolled out of the circuit during the afternoon, after the Riley Porsches completed very few laps, none at pace – and they ‘lost’ one engine. She’s expecting to share this entry at the race with Robinson and Paul and Wally Dallenbach. NASCAR Craftsman Truck man Bill Lester was lapping in the #60 Michael Shank Riley Lexus, and impressed Oswaldo Negri with how quickly he got up to speed. Lester is hoping to be invited to join the team for the Rolex 24. That might be in the team’s #6 car, with Henri Zogaib and Ian James. The drivers in the #60 car for the race will be announced on Tuesday. Howard (not Boss) Motorsports had the #20 Crawford Pontiac running the new Bosch system, while the #2 car was running in 2006 guise. Andy Wallace and Butch Leitzinger were joined by Raphael Matos. Fabrizio Gollin was back in a Doran: he raced the full season in 2005, and was sharing the #77 car with Forest Barber and Mexican Jorge Goeters. Gollin and Barber seem set to race this car in the Rolex 24. Bill Auberlen and Matthew Alhadeff will race the #05 Sigalsport Riley BMW in the full 2007 Rolex season, but the team may enter a second car too, at least in the Rolex 24. Back in GT, Kevin Buckler had five Porsches present, and even found time to get in some laps himself: “We have three brand-new Porsches signed up for the Rolex 24 and hopefully for the full season. Jim Lowe and Jim Pace are leading the charge with the No. 66 car, and the No. 67 car will have Brett Milner, John Peterson, Michael Gomez and Murray Mardin. 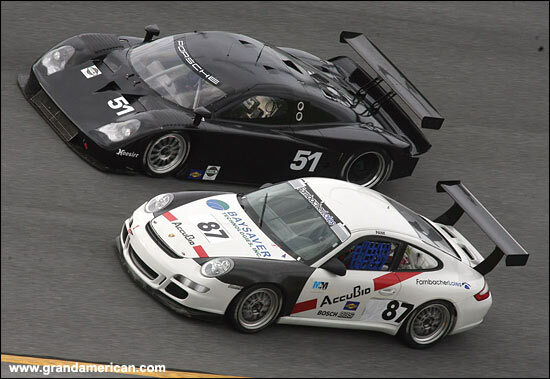 Buckler suggested that he is looking to field either one Daytona Prototype or two GT cars for the full 2007 season. Sylvain Tremblay and David Haskell, in the SpeedSource Mazda RX-8, were joined by long-time Porsche man Randy Pobst. Pobst seems like a strong candidate to race the Mazda early next year.